Nobody likes to pay taxes. Fortunately, there is a way to cut your tax bill by taking advantage of the deductions to which one is entitled – sometimes without knowing it. To be able to pay less tax, tax consultants recommends to think about it throughout the year and not only during the tax period. Otherwise, we are faced with the fait accompli and fiscal strategies are limited, for lack of time. Even if it’s not a very pleasant reflection, it can pay off. Calculate tax deductions which you are entitled may even be pleasant surprises. 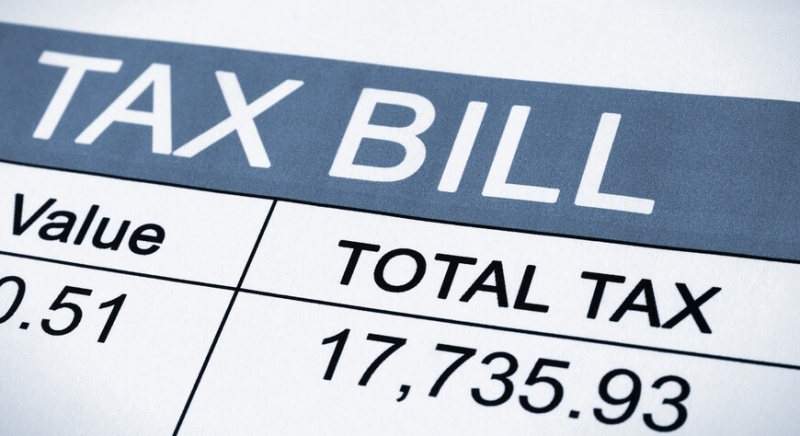 Although a student often has few taxes to pay, he still benefits from certain tax deductions. For example, he may deduct public transit expenses from his taxable income. And if he has savings, given his generally low income, it may not be very advantageous for him to contribute to an RRSP to lower his taxable income and hope to pay less tax. Instead, he should invest his savings in a Tax-Free Savings Account (TFSA). The money he deposits, up to a maximum of $ 5,500 will grow tax-free. He can withdraw these amounts for a future project, for example a trip or the down payment for a first residence, without having to pay tax at the time of withdrawal (the tax will have been paid at the time of the deposit). Whether you are alone or in a relationship, it is essential to invest in anticipation of your old age. The Registered Retirement Savings Plan (RRSP) is an investment solution designed for this purpose. It is a great way to cut our tax bill at the end of the year. Each year, you can contribute up to 18% of your income to an RRSP, or a maximum of about $ 25,000. In his tax return, the money deposited in an RRSP is deducted from his taxable income. Since you are taxed on a lower income, you give less to the taxman. In some cases, there is even talk of a tax refund! The RRSP strategy is so profitable that it is sometimes even worth going into debt temporarily to contribute. Since interest rates are low, it can be advantageous to borrow to increase the contribution that could have been made according to its liquidity, and then repay within twelve months an RRSP loan through its tax refund. Finally, the few dollars paid in interest will have allowed a much better contribution to his RRSP, in addition to reducing the tax to disburse. A paying investment! Tax benefits multiply when you share your life with two. In the case of an RRSP, you can contribute to your spouse’s plan, which is particularly useful for maximizing your contributions for retirement. After the house comes often the project to found a family, a project that must be planned financially. Spending is important, but tax deductions are available to parents, such as the tax credit for child care expenses. A self employed person is entitled to many benefits to cut your tax bill. He can deduct the cost of his office, even if it is in his residence, the heating, his work equipment, his transportation, his communications costs, his membership of associations or a professional order, the cost of trainings followed and even business meals. The investors and entrepreneurs for their right to panoply of different tax credits which vary by province. However, the small business deduction (SBD) is available across the country. It ensures that the first $ 500,000 of a corporation’s income is taxed at a reduced combined rate of 19%, instead of 26.9%.Finally, any investor or entrepreneur can use his capital losses to reduce the tax payable on earnings that same year. It is not because one is retired that one should not worry about saving anymore. You can contribute to your RRSP until age 71. So, we benefit! After that, you will have to convert your RRSP into a registered retirement income fund (RRIF) no later than the end of the year in which you reach the age of 71, under penalty of paying tax on the entire amount saved. A whole expense! This RRIF will provide retirement income each year. It is also very important to plan your estate well , otherwise it can be a headache for your loved ones after your death. In the eyes of the tax authorities, during an estate, all property bequeathed to the heirs is deemed to be sold at market value. It will therefore be necessary to declare the difference between the purchase price and the sale price. Of course, if there are debts, the creditors will be reimbursed first. Thus, an inventory of his assets will allow a financial planner to estimate their value, as well as the tax payable on them. Some quite legal tax strategies exist to reduce the financial impact of a succession for the heirs. They must be recorded in the will. One of them is to bequeath your residence to your spouse, who will not have to pay tax until he gives it, sells it or dies himself. If the residence is bequeathed to the children, they will have to pay the tax.